What exactly is CPT Code 96127? CPT Code 96127 hasn’t been around a long time. In fact, it came into play in January of 2015, after the Affordable Care Act included mental healthcare in insurance plans across the country. 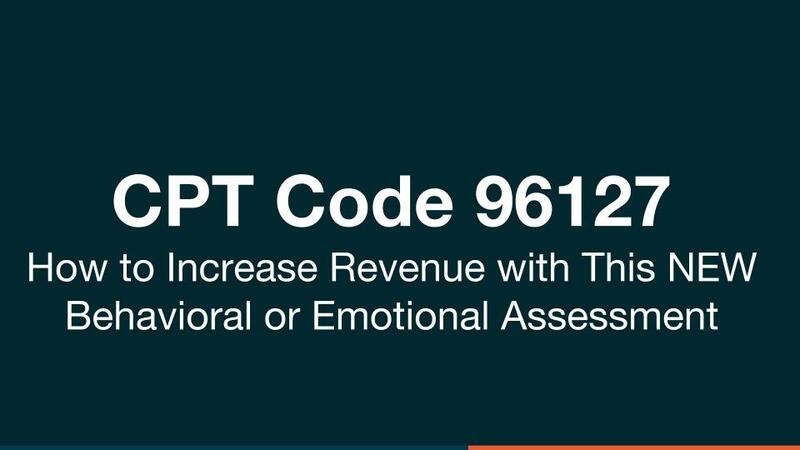 CPT Code 96127 is a code that may be used to report brief behavioral or emotional assessments for reimbursement. These assessments may include any standardized screening instruments that will provide both scoring and further documentation to the healthcare provider. Who can bill with CPT Code 96127? Guess what? Not only therapists and mental healthcare providers can benefit from the use of CPT Code 96127. Screenings are often used in all sorts of medical practices, from OB/GYN offices screening for depression or anxiety, to pediatric settings utilizing children’s behavioral assessments or screenings for adolescent eating disorders. What procedures are there for billing CPT Code 96127? This part is simple. All patients can be at risk of having a mental illness, especially those who are experiencing ongoing medical problems. Data and scoring must be provided for the screenings that are conducted, and a generalized course of treatment should be selected. How often can screenings be billed with CPT Code 96127? Imagine how nice it would be to not only save administrative time by using standardized screening assessments, but to be able to regularly bill them for the patients that they can benefit! CPT Code 96127 may be billed four times for each patient per visit, utilizing four different instruments or assessments. So not only will clinicians have more efficient practices by utilizing these screenings, but they can also use them to build revenue. How much are reimbursements for screenings billed using CPT Code 96127? The use of standardized screening instruments for emotional and behavioral assessments can generate up to $6 for each screening. If a patient requires four different screenings, that will be $24 per patient per visit. Can you see how this missed income can really add up? Who reimburses billing using CPT Code 96127? CPT Code 96127 is reimbursed by many major insurance companies, including Cigna, Humana, Aetna, Anthem and Medicare. Where can I find standardized screening instruments to use with CPT Code 96127? Mentegram has a library full of online tools that range from detailed surveys to simple sliding scales that can be used to bill with CPT Code 96127. 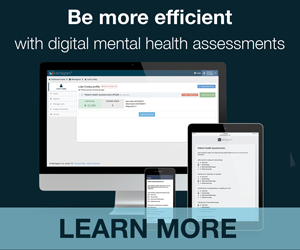 Mental healthcare providers may also use these tools to help reduce and even replace paperwork, saving valuable time in administration by screening the patients and monitoring their progression, even in between appointments. Screen your patients faster. Let Mentegram help you save time and start billing with CPT Code 96127 today! DISCLAIMER: Please keep in mind that Mentegram is a software company, and do not consider content on our website as legal advice. It is your responsibility to decide to act on this content, relinquishing Mentegram of all claims. The information that we share is either what has worked well for our customers or curated content of the best practices from authorities. We don’t consider ourselves billing consultants and experts. If you aren’t sure, please consult the particular insurance company or billing consultant for additional information.